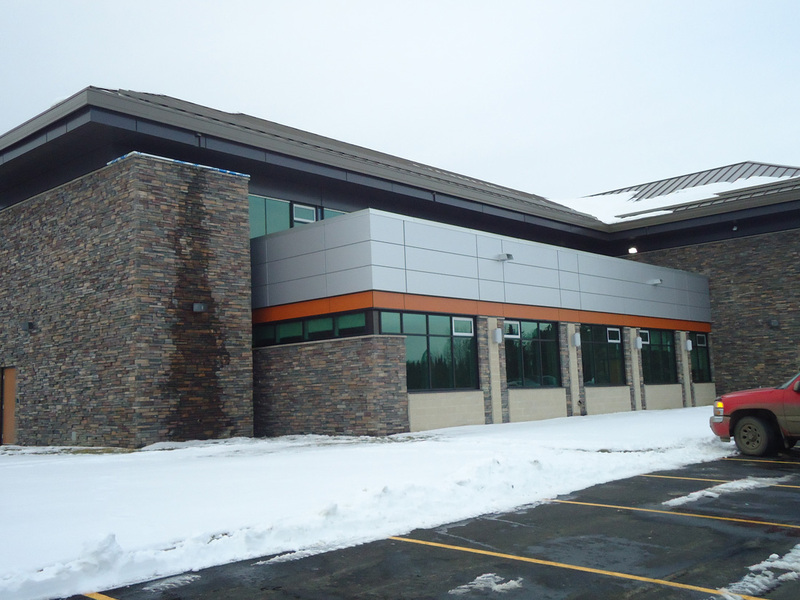 In 2008, BR2 Architecture was retained by Brazeau County to provide design services for a new County Administration Building and adjoining Public Works Shop. 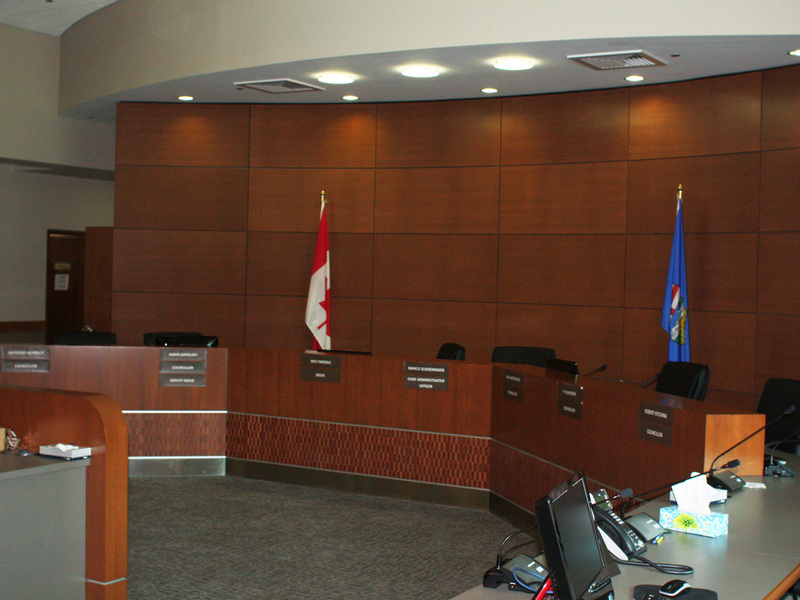 Located on a greenfield site, the project includes a new County Administration Building housing Council Chambers, Administration, Finance, Taxation, Planning and Development, Public Works, Community Services, Survey, GIS, Agriculture, Emergency Operations Centre and Regional Constables Offices. The Administration Building has been designed to include common areas for public gatherings and events, meeting rooms, record and file storage and include future expansion space. The Administration Building is 25,000 sq. ft. on two levels plus a developed basement for storage, building services and expansion. A permanent link connects the Administration Building to a new 27,600 sq. ft. Public Works Shop. The new Administration Building is constructed with a durable exterior of stone, masonry cladding, and prefinished aluminum wall cladding and prefinished metal roofing. All offices include natural light and ventilation with daylight passing through glazed corridor walls to interior ancillary spaces. The public are welcomed to a large bright entrance that serves as a community function and gathering space leading to Council Chambers. Reception control has a clear line of sight to the public entrance, Council Chambers and the main administration wings of Public Works and Planning and Development. Meeting rooms are located throughout the facility and incorporate moveable partitions to expand work spaces accordingly. The new facility incorporates an Emergency Operations Centre with dedicated emergency power and communication services for disaster coordination. 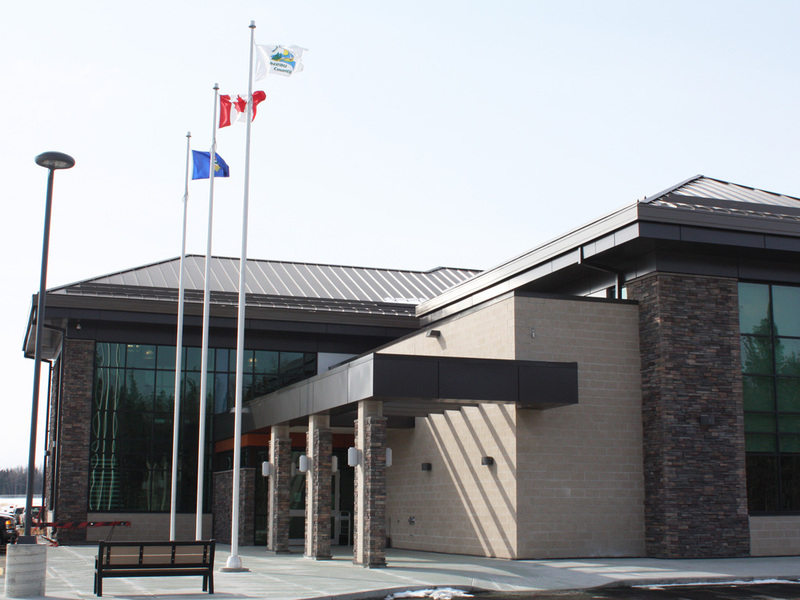 The Brazeau Administration Building and Public Works Facility was tendered with excellent bid coverage resulting in a project cost below budget.